Designed with a full spectrum of appetite-suppressing herbs and nutrients, NuMedica Reset PATH Support Formula provides powerful support for your metabolism. 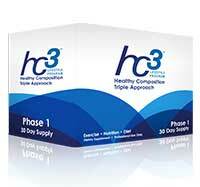 Whatever your weight loss goals, this natural supplement can help you reach them with its ability to kick start your metabolism so it can function at its optimum best. 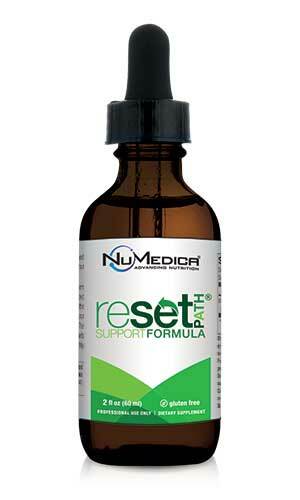 NuMedica Reset PATH Support Formula also contains ingredients that are known to suppress the appetite so you eat less. NuMedica Reset PATH Support Formula contains natural ingredients that are known to boost metabolism. When your metabolism functions optimally, it transforms your food and drink into energy quickly. When your metabolism is sluggish, many of the calories you take in might, instead, be stored rather than burnt up into useful energy. If you have stubborn weight that won't come off in spite of your best efforts regarding diet and exercise, you might be wondering if your slow metabolism is the culprit. Our metabolism slows down with age, which can inevitably lead to unwanted weight gain even though our diets and activity levels may not have changed. By speeding up your metabolism with natural ingredients, you can ensure that it functions at its best so your calories may be more effectively used as energy rather than stored as fat. NuMedica Reset PATH Support Formula is made with natural ingredients that are known for their effects on metabolism and appetite suppression. For instance, Garcinia Cambogia, a tropical fruit, is known to block your body's production of a certain enzyme involved in fat storage. While it enhances metabolism, it is also known to decrease appetite. If you find that you crave snacks between your healthy meals, this ingredient may reduce those cravings so you eat less of the foods that may be preventing you from reaching your weight-loss goals. Reset Path Formula also contains other natural metabolism boosts and appetite suppressants like guarana extract, green tea extract, and bitter orange extract. These ingredients combine to make a powerful formula that can enhance the function of your metabolism so you can lose unwanted pounds. Directions: Take two droppers full in water in the morning and two droppers full in water in the afternoon 30 minutes before meals or as suggested by your healthcare practitioner. Contains natural caffeine. Warning: Keep out of the reach of children. If pregnant or lactating, please consult your healthcare professional. Other Ingredients: Purified water, vegetable glycerin, citric acid, natural fruit flavors.